The mapping shows relation between two or more factors. These are centered around the user categories as related to their activities, the artifacts surrounding them, the environments, the communication media that they use and the sensories that are involved in the interaction. 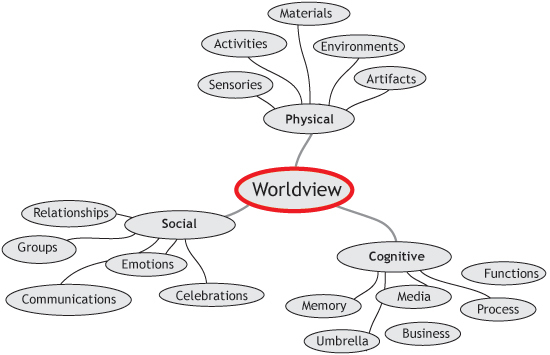 These mappings could be helpful to build worldviews about the user group that you are designing for and to connect the unrelated. And in a sense these maps help you with the visualisation of the problem space.